OK, but you’re black, Ben Carson, and you’re effectively co-signing racism. Wow, a fresh spin on a hot take: Donald Trump, you see, can’t be racist, for he has black employees. 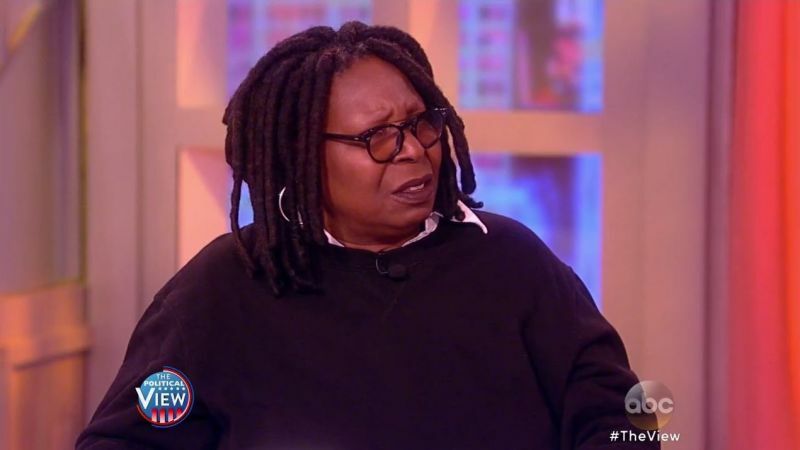 Whoopi then launched into full-on rant about Trump’s racism that she punctuated with, “You’re Ben Carson! You’re so much better than this!” A rare miss for Goldberg. So vote Trump, because we live in a garbage can and those who thrive need to not just get used to the smell, but start loving it more than they love their favorite flowers, even. Later, Carson said he didn’t condone Trump’s retweeting of a picture that mocked the appearance of Ted Cruz’s wife, Heidi. “Implicit in endorsement is not an endorsement of anything that anybody has said or done throughout their lives,” he said, words flying from his mouth like the maggots you spit out when dining at the bottom of the garbage can.